The early Ford Registry informal tour began Thursday. So far we have 4 1903 - 1904 Model A, 4 1906 -1908 Model K, 1 1906 - 1908 N, 1 1908 S Runabout and 2 1908 S Roadsters. For Model T, 2 1909s and 1 1910. 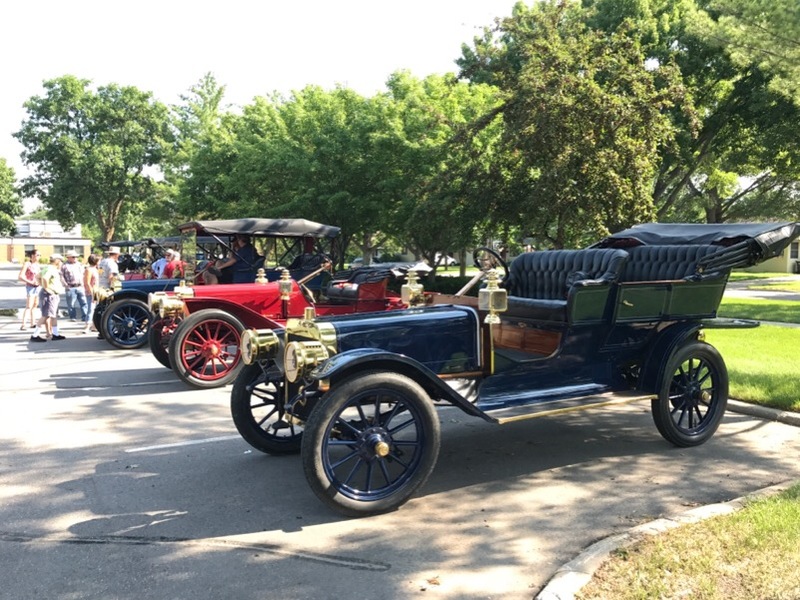 Also a 1906 REO and Columbia along with a 1908 Cadillac joined the group. Hi Rob, Thanks for the video. Please keep them coming... We can't all be there, but the videos are the next best thing! Is that Poor Iowa Farmer with you ? Wow. That is quite a showing of early Fords. I can hardly fathom 4 As and 4 Ks in one place at one time. I really wonder when the last time was that four model K Fords were together and running in one place and time? A half century? Three quarters? I wonder if it ever happened even in the 1920s? Four '03/'04 model A Fords together is rare, but does happen. I am pretty sure it has happened at the London to Brighten Run in England a few times. And maybe at the 2003 Ford centennial? And what about the OCF? Thank you for sharing this adventure!